Download Modio from here. It’s a tool/utility which allows and makes easy to modify Xbox 360 games on Windows PC (desktop/laptop). It makes your convenience top most priority. Modio makes use of a storage device to access the files stored on one hardware to another. Besides modifying the games, Modio allows the access to an online database of games which are played throughout the world. You can access and take the file from one hardware to another. So, another use comes in here. 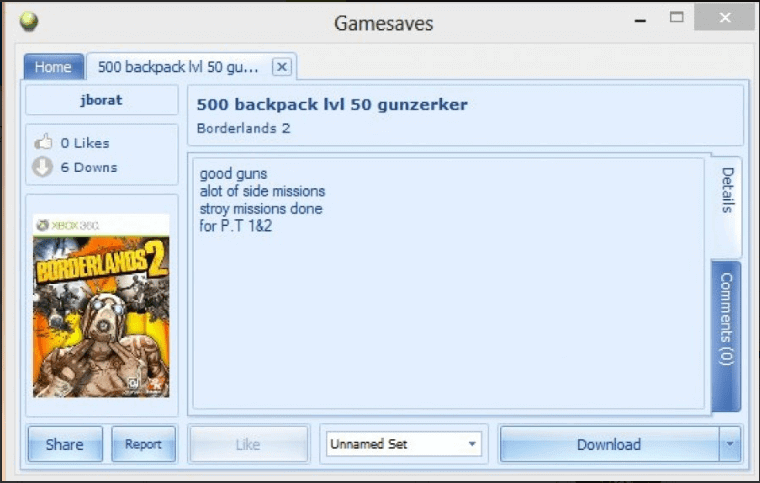 What you can do is download all the saved games as per your wish. After downloading, you will be required to transfer the files to the storage drive and into the console. So, in a way, you can reach the topmost level of any game in a matter of minutes. And it becomes easy to do so in just a few clicks. Thus, this utility becomes a savior and interesting tool for regular Xbox 360 players. The users can make its use in a wide variety of environment. It has got a lot of functions to use. Moreover, the interface is easy. You will be able to use it without any trouble. However, you still will get a lot of tutorial/manual, if case of any help. It is Simple & Fast Download! It gives the ability to modify the saved game files from your console or download new ones. With this application, you can access mods too and provides various search tools at your disposal. Some features are reserved for VIP users. How to Mod using Modio? You can mod using it by following the steps. SB Flash Drive for the Xbox. 25% for the Xbox. Choose the gamesave to mod, and move it to the USB. Take the USB out of the Xbox console and insert into Windows PC. Open Modio5. Sign into the account. Click ‘Gamesaves’ on the homepage with a picture of the Earth. It will open up in a new window. In the bottom right, type the name of the game in the search bar. Download the required file and double click to open it in a new window. Click on the download button in the bottom right. Save it anywhere you want it to. Exit it and go back to the Main Menu for Modio. Click on “Open Save From Device.” Now, double click on it – one or two times to pop up another window. Leave it open as it will be required afterwards. Look for the file to download and double click on it. Leave the new window up too. Now, the things may get tricky. Delete the left side window bars (with zeros). Delete the numbers on the left side window bars. Now copy the numbers from the right side window, and past them in the corresponding bars on the left side window. Close the right side window. Now, there should be only one window apart from the main menu. Click the button – Rehash and Resign – from the bottom right of the menu. Look for the button saying – Save to Devie. The USB should still be instered in the computer. Take USB out and insert into the Xbox. Move the modded file onto your Xbox. Now, your game has been modded. Modio is a product of GameTuts. We (this site) is not affiliated with the developer. All trademark, product, and company names and logos are the property of their respective owners.